It seems forever since we last played on the Turf against Fulham but after trips to Watford, Manchester City and Manchester United we are back home with a Premier League game against Southampton. It always looked a tough ask in those three away games and we do return home having not won any of them, but that hardly tells the story. The one in the middle, at Manchester City, was the FA Cup but in the two league games we’ve seen stoppage time offside decisions go against us. At Watford, a Chris Wood goal was ruled out when it was onside and at Manchester United they scored a stoppage time equaliser that looks more and more offside to me every time I see it. Had those two games both ended in wins, it would have taken us eight points clear of the bottom three and we would have been sat in 13th place in table, ahead of Brighton, Newcastle, Crystal Palace and Southampton who all currently sit above us. You can’t take anything for granted. I don’t think many of our rivals towards the bottom of the table would have expected us to take a point at Old Trafford and I’m certain most of us were stunned that Newcastle came from behind to beat Manchester City. That’s how football is but our performance in that 2-2 draw against Manchester United, while so disappointing given the way we only got one point, was one that should have given us all the enthusiasm to believe we can pull well clear of the drop zone. He added: “We had a little debrief a while ago, where we talked about getting back to doing what we do best. We did that pretty quickly and got on a good run, so we need to continue that going forwards. With Aaron Lennon, Jόhann Berg Guðmundsson and Robbie Brady all out of the picture recently, Hendrick and Dwight McNeil have been occupying the wide positions. Guðmundsson and Brady are likely to be available tomorrow. Guðmundsson came off the bench at Old Trafford and I expect he’ll be a substitute again, potentially along with Brady. Matt Lowton and Steven Defour are expected to be ruled out again. Lowton’s injured toe has now been confirmed as a broken toe while Defour, I believe, has a calf problem. The match day squad will also be minus Sam Vokes, a rarity over recent years, with his move to Stoke but Peter Crouch could be included although I wouldn’t expect him to start. The team could be: Tom Heaton, Phil Bardsley, James Tarkowski, Ben Mee, Charlie Taylor, Jeff Hendrick, Ashley Westwood, Jack Cork, Dwight McNeil, Ashley Barnes, Chris Wood. Subs from: Joe Hart, Kevin Long, Ben Gibson, Stephen Ward, Josh Benson, Jόhann Berg Guðmundsson, Robbie Brady, Matěj Vydra, Peter Crouch. We kicked off the season at Southampton back in August. They’d just about survived the previous season, a win at Swansea in the final week sending the Welsh side down and keeping their place for a seventh successive season. Manager Mark Hughes had come in and was rewarded for keeping them up with a new deal but he didn’t last too long and by early December he’d been replaced by Austrian Ralph Hasenhüttl. They were in the bottom three when he started but they’ve had a good run of results and they are now, like us, four points away from the drop zone, ahead of us because of a better goal difference. They have a couple of familiar names to Burnley supporters in their squad. In January three years ago they signed Charlie Austin from QPR and they currently have Danny Ings on a season long loan from Liverpool although that will be made a permanent move ahead of last season. Ings is their leading goalscorer with seven, although with three of those from the penalty spot, those things we don’t get. Austin, however, has scored just twice but he has only started eight games while coming on as a substitute the same number of times. It was thought that he might have moved during the window that closed yesterday but the last reports were that Southampton turned down loan offers from four clubs. Austin started against us at St. Mary’s; Ings came on as a substitute with the pair on together for just over a quarter of an hour. The early team news for the Saints is that they are likely to use the same players who were on duty for their 1-1 draw against Crystal Palace this week. Captain Pierre-Emile Højbjerg came off with a cut to his head but is expected to play. They will be without long term absentees Ryan Bertrand, Mario Lemina and Michael Obafemi. The Southampton team that played Palace was: Alex McCarthy, Yan Valery, Jack Stephens, Jan Bednarek, Jannik Vestergaard, Matt Targett, James Ward-Prowse, Oriol Romeu, Pierre-Emile Højbjerg, Nathan Redmond, Danny Ings. Subs: Angus Gunn, Mohamed Elyounoussi, Sam Gallagher, Stuart Armstrong, Callum Slattery, Kayne Ramsay, Shane Long. Southampton’s visit to the Turf last season was our last game in February last year. Having reached fourth in the table in December with a 1-0 win against Stoke, we went into the Southampton game having dropped to seventh and looking for a first win in eleven games. We came so, so close to breaking the run but it wasn’t to be. We had to settle for a point in a 1-1 draw with the Saints’ leveller coming in the last minute of normal time with an unfortunate contribution from referee Bobby Madley. Embed from Getty ImagesSean Dyche had made two changes from the team beaten at Swansea. Stephen Ward returned for Charlie Taylor while Ashley Westwood came in for Sam Vokes as we returned to the more familiar system with one striker. Although the better side, we had to wait until midway through the second half to take the lead. Jόhann Berg Guðmundsson volleyed an Aaron Lennon cross back into the box which Alex McCarthy got a hand on. That helped us, Jeff Hendrick headed it forward for Ashley Barnes to dive in and head home. Still in front, we were waiting for the board to tell us how many extra minutes when Barnes passed to Ashley Westwood. It didn’t make it because Madley blocked off the Burnley midfielder. From that point, Southampton got the ball out to the right, crossed it and the ball eventually came back in for Manolo Gabbiadini to score and we had to settle for a point. We didn’t have to wait much longer for a win, the next five games all ended in victories. 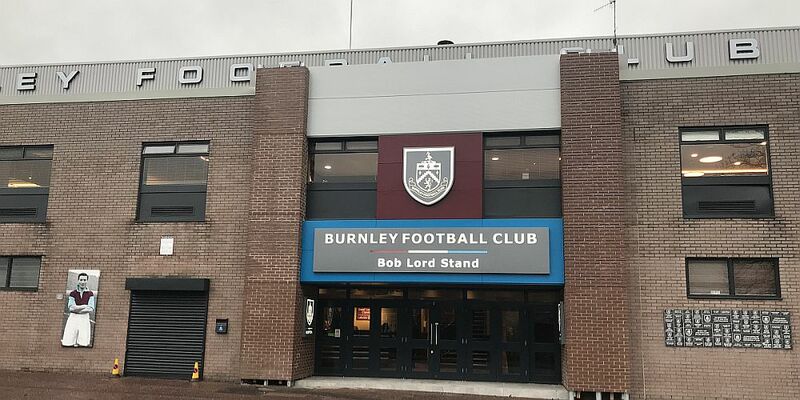 Burnley: Nick Pope, Matt Lowton, Kevin Long, Ben Mee, Stephen Ward, Jόhann Berg Guðmundsson, Ashley Westwood, Jack Cork, Aaron Lennon, Jeff Hendrick, Ashley Barnes. Subs not used: Anders Lindegaard, Phil Bardsley, Charlie Taylor, Dean Marney, Georges-Kévin NKoudou, Sam Vokes, Chris Wood. Southampton: Alex McCarthy, Cédric Soares, Jack Stephens, Wesley Hoedt, Ryan Bertrand, James Ward-Prowse (Josh Sims 68), Oriol Romeu (Sofiane Boufal 75), Dusan Tadic (Manolo Gabbiadini 81), Mario Lemina, Nathan Redmond, Guido Carrillo. Subs not used: Fraser Forster, Pierre-Emile Højbjerg, Jan Bednarek, Jérémy Pied.